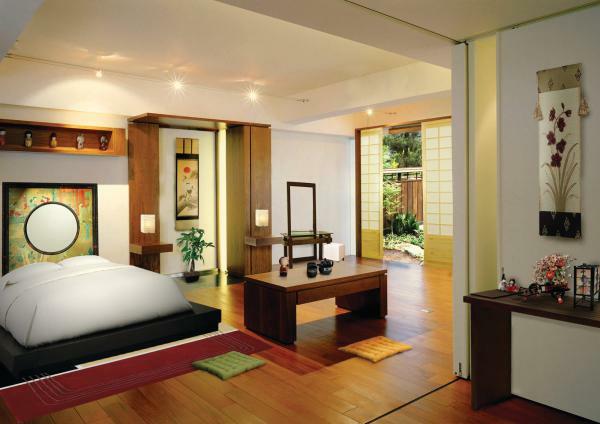 A bedroom in the Japanese style is extremely harmonious. It is often said that the Japanese style can be characterized by just two words – harmony and tranquility. Let’s try to understand this characterization in more detail. 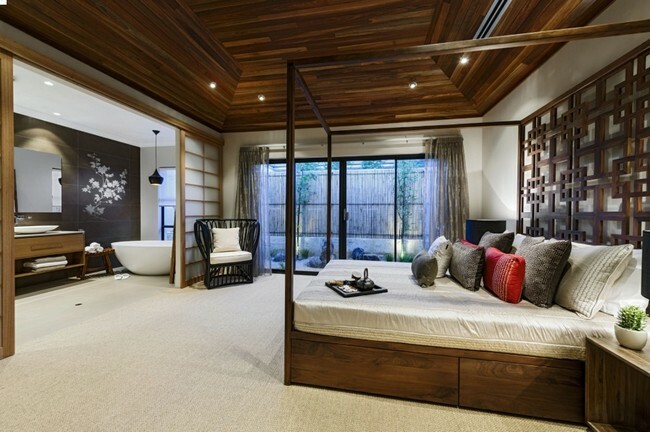 Even though many design and decoration styles exist, the Japanese style will forever be one of the best choices for those looking for functionality combined with simplicity, particularly in the bedroom. 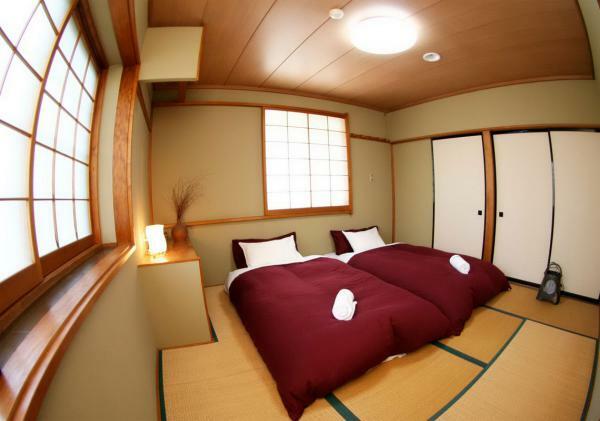 So, if you decide to arrange the bedroom using the Japanese style, then you’re definitely on the right track. Only natural materials are used. The presence of flooringmostly made of ceramic or porcelain tiles. A preference of pastel colors. For wall decoration, preference is given to paper wallpaper in the same pastel colors or wall panels made of natural wood. If you wish to divide the room into zones, use folding screens. This highlight will give the room an unusual and mysterious feel. 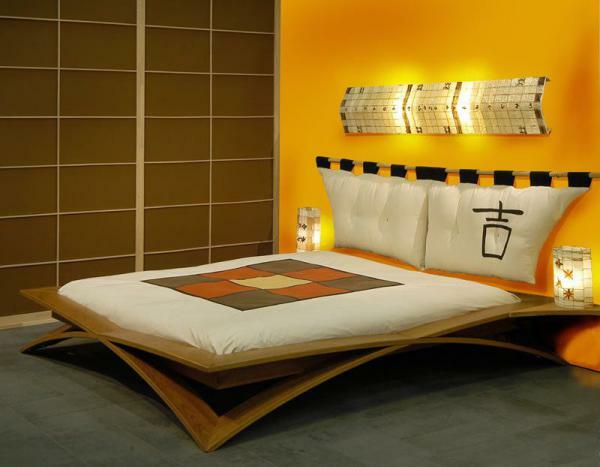 When choosing furniture for a Japanese style bedroom, it is important to pay critical attention to all details.Remember that while the interior should be simple, at the same time, it needs to be expressive, often through a simple but pronounced geometric shape. 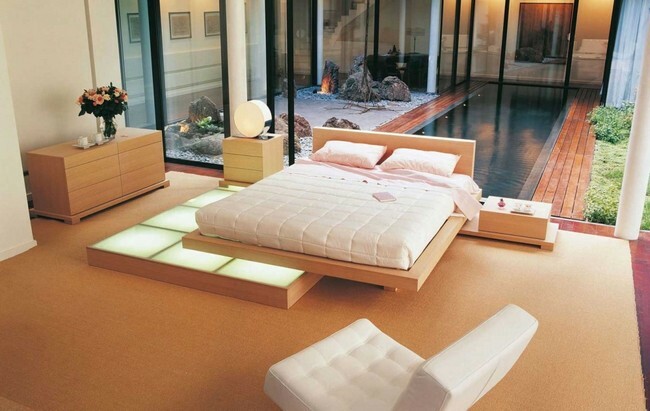 You can place the bed on the podium and add bedside tables, which should, however, be simple rather than intricate. 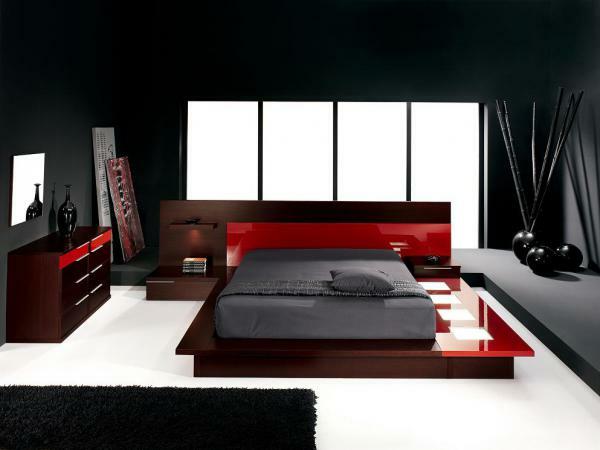 The Japanese style bedroom design also provides for wardrobes. It is additionally common for this design to equip the entrance to the bedroom with sliding doors, like you can see in the picture above. Bamboo fabric is perfect for pillows. On the other hand wooden blinds or light curtains are often used to cover and decorate windows. 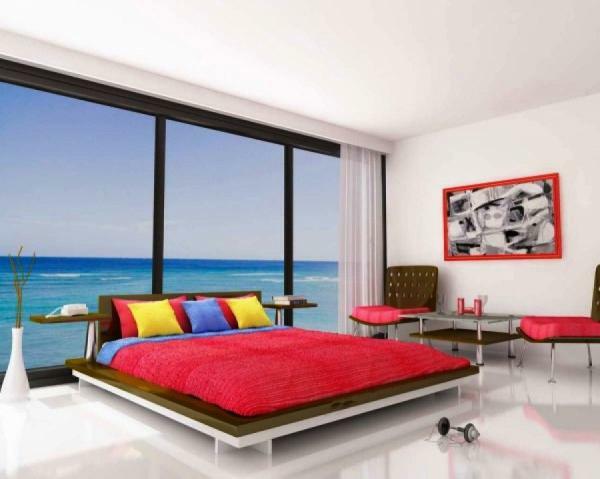 It is worth noting that décor items such as figurines, paintings and other items should be in harmony with the overall style of the bedroom. Additionally, Japanese style bedrooms are sufficiently lit, often using lamps placed on various surfaces, from floors to walls and ceilings. However, the lighting needs to moderate and not too harsh to the eye, which makes lamp shades handy. As for the choice of colors, take note that a wide variety of variegated palettes is not recommended for the Japanese style bedroom. Instead, it is better to choose some kind of one color, for example, white, brown, cream or gray. 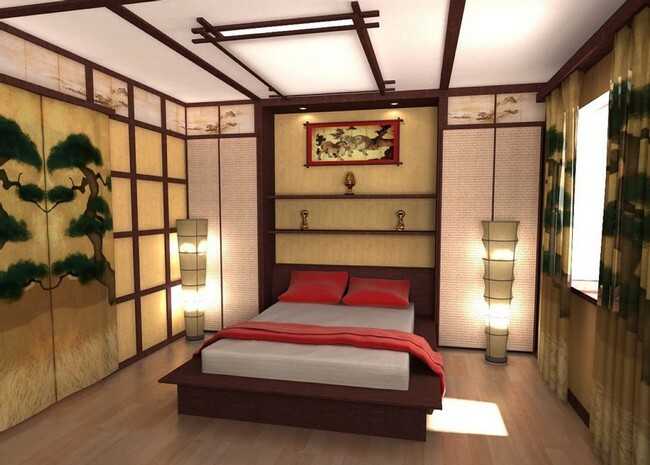 The Japanese style and other elements of Japanese décor are highly recommended for the bedroom due to the high level of intimacy they infuse the room. 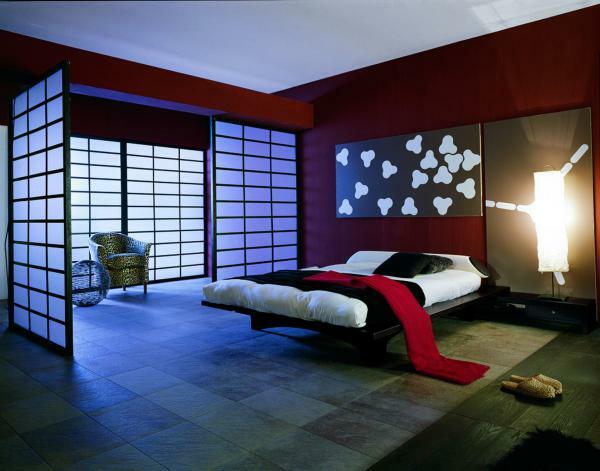 The Japanese style bedroom is, therefore, a perfect go-to design for couples’ bedrooms. This is because the Japanese style carries sexuality, a samurai temperament and seduction of a geisha, creating a special and unique feeling of intimacy. The Japanese claim that the house is a living organism which should always have a healthy and positive atmosphere, which, in turn, affects both the physical and mental state of the house occupants. As mentioned earlier in this article, the Japanese style emphasizes on decorating the room only with items that are necessary. 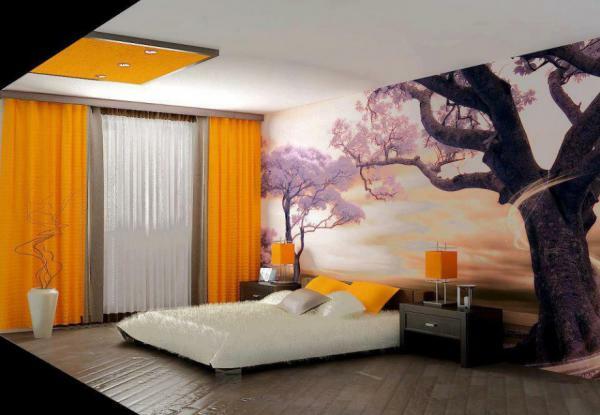 However, a minimal addition of non-functional décor, such as bonsai trees, is permitted under this design. This design also allows occupants to decorate the home with items of significance that have been handed down through generations. Traditional ornaments that emphasize the sophistication of the Japanese style also fit perfectly into the design. The Japanese say that you need to live together with nature, so the use of natural materials is highly welcome, just as we stated earlier. 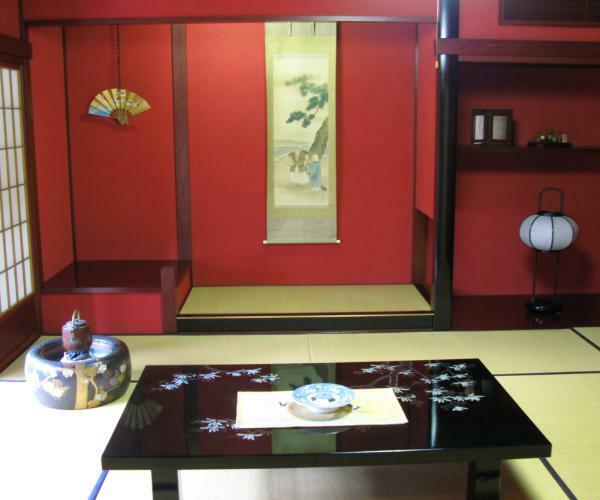 Overall, most designers agree that the Japanese style is too empty, owing to two of its most reputed characteristics: a minimum of furniture and an abundance of light. However, this ‘emptiness’ is the desired goal of the Japanese style, allowing positive energy to move freely and have a therapeutic effect on the occupants.